When you are creating a comprehensive estate plan, it is important to understand the differences between a will and trust. Both can be useful estate planning tools; in some cases, both wills and trusts are used together when developing an estate plan. It is always best to consult with an experienced elder law attorney who can help you decide which is best for your situation. You must be 18 years old or older when you sign your will. Your will must be signed by two competent witnesses. Your will must be written rather than oral. A trust is a legal document that allows a person who has assets (also referred to as the settlor) to designate a trustee to hold the assets for the trust’s beneficiaries. In a trust, the settlor can dictate how the assets are invested, when and how assets are distributed to the beneficiaries, and who will be an alternate trustee. Unlike a will, a trust can be used to manage the settlor’s assets during his lifetime, as well as upon his death. When a trust is used during the settlor’s lifetime, the settlor is often the beneficiary and trustee of the trust as long as he is legally capable of taking care of his affairs. No probate. One of the key advantages of a trust is that it avoids the need to probate a person’s estate upon his death—which can save the costs and time of probating an estate through probate court. Privacy. 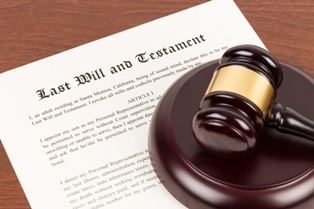 A trust can enable a person to distribute his assets in private without the need to file a will with the probate court, which would make the will a public document. Tax savings. When a person has a large estate subject to estate taxes, a trust can be utilized to transfer assets in ways that avoid these tax consequences. Asset protection. In a trust, a person can designate how and when assets are distributed to beneficiaries. This can help to protect assets so that beneficiaries have them when they need them. This can be helpful when a beneficiary is a minor, is disabled, or has a drug or gambling problem. Depending on your circumstances, you may need a will, a trust, or both to meet your estate planning objectives. These decisions are complicated, and you need the assistance of an experienced elder law attorney to help you decide what option is right for you. To discuss your situation and learn how we can assist you, call our office today to schedule your free, no-obligation consultation.